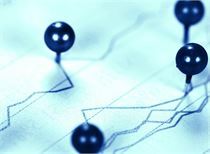 Today, a fourth-tier city in HeilongjiangHouse priceFalling to the "frightening" news, the microblogging madness screen. 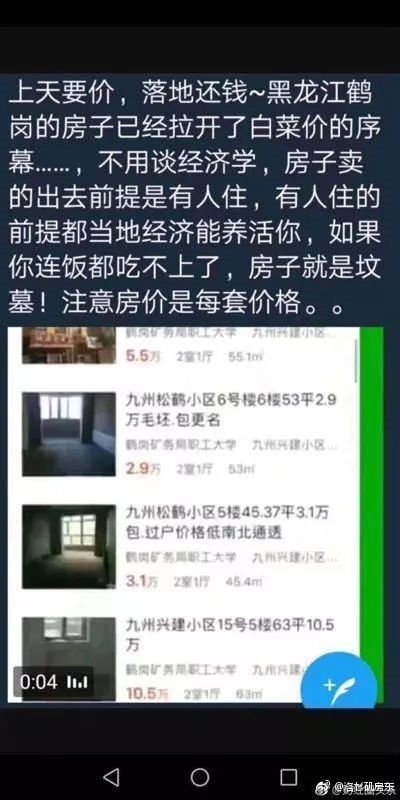 The picture in the text shows that the house in Hegang, Heilongjiang has already opened the prelude to the price of cabbage. 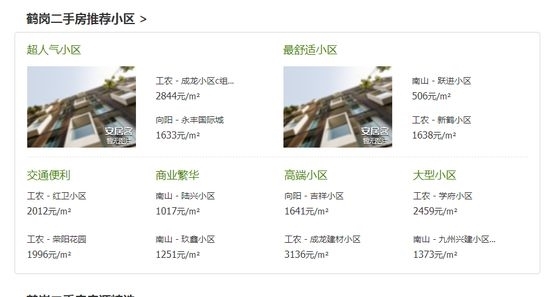 The average price of Hegang in March is 1240 yuan/m2, of which 300 yuan/m2 around Jiuzhou is built, and the top level of 320 flat is only 15 Million. 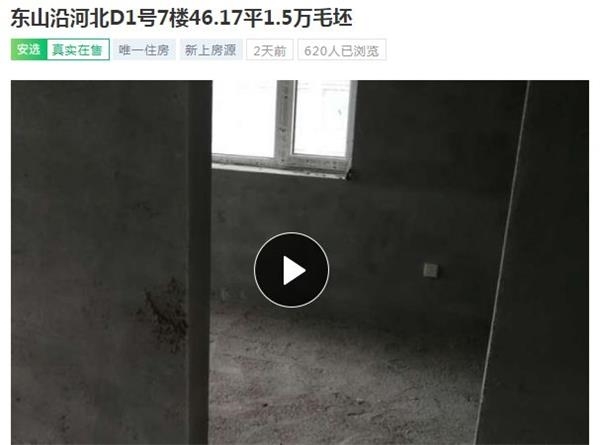 Zhuge looking for housing data shows that in March 2019, Beijing Dongcheng District second-hand housing was 94,941 yuan / square meter. 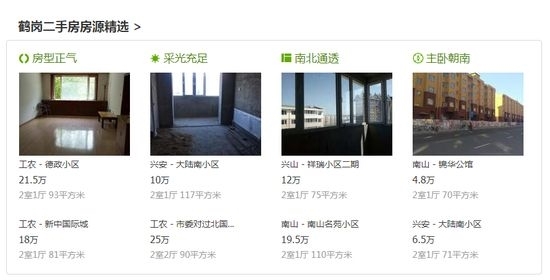 According to the price of 55 square meters total price of 19,000 yuan, the total price of Hegang's five suites can only reach the price of one square meter in Beijing. On the second-hand housing platform of Anjuke, the second-hand housing prices in several communities in Hegang City are indeed within the range of 1-2 thousand yuan, and even the second-hand housing 70 square meters is only sold for 48,000 yuan. However, compared with the price of second-hand housing, the price of newly opened real estate is much higher. 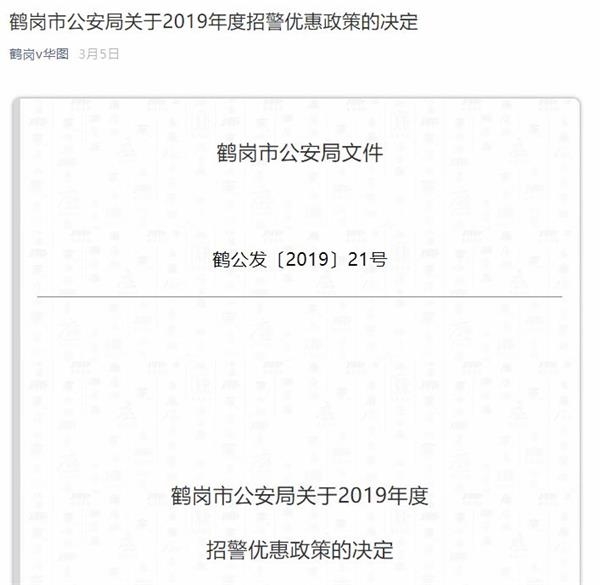 According to the inquiry, three of the four Hegang new discs sold in the market have a unit price of more than 10,000 yuan, while the other has only 3,000 yuan. In the early days, the gap is staggering. According to the daily economic news, the situation on the Internet is basically true. 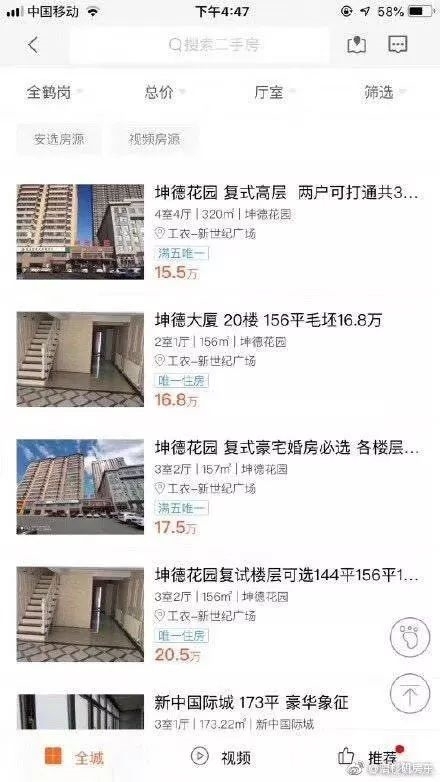 For example, according to a second-hand housing website, a “Dongshan Riverside Community” in Hegang City, a set of 46 flat rough rooms (one room and one living room) on the 7th floor has a total price of only 15,000, equivalent to 326 yuan per square meter. . 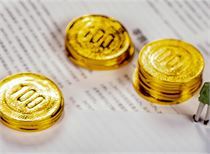 It is also lower than the price of 348 yuan per square meter circulating on the network. 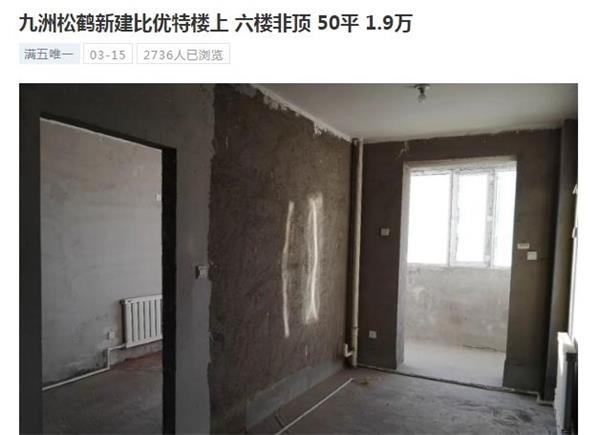 In Hegang City, another “Jiuzhou Songhe Community”, a set of 50 flat rough rooms (one room and one living room) on the 6th floor has a total price of only 19,000, equivalent to 380 yuan per square meter. It also has little difference from the lowest price circulated on the Internet. 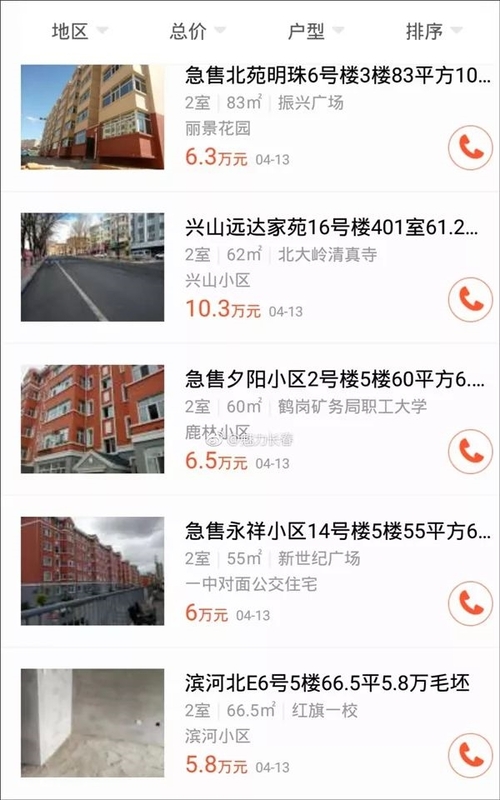 The reporter contacted the intermediary telephone provided on the second-hand housing website and learned that in Hegang, the total price of 20,000 is very large, and the total price of many houses is less than 20,000. However, the intermediary interviewed by the reporter also pointed out that these low-cost housing are local sheds, and the nature is different from the general commercial housing. 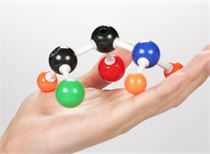 For example, ordinary commercial housing can immediately set up a "room book", but these houses can not immediately put "room" down, it will take several years. The platform of the world is displayed. 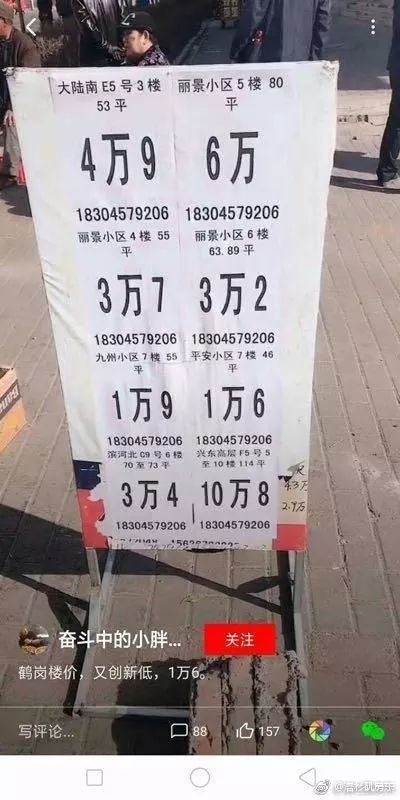 For new houses, the five properties for sale in Hegang City have a minimum sales price of 3,200 yuan / square meter and a maximum of 4,300 yuan / square meter. 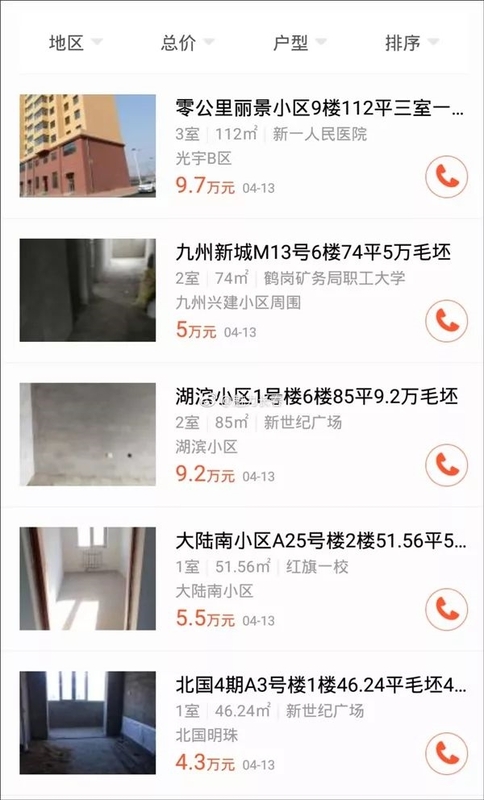 Second-hand housing has a total of 126 suites for sale, of which the lowest price of the house is 38,000 yuan, 63 square meters two-bedroom, the unit price per square meter is only 603 yuan. 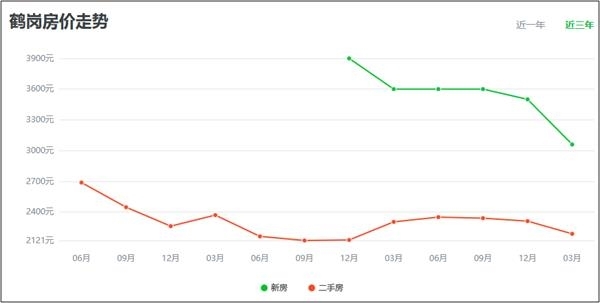 According to the data of the Yoshiya network, in the past three years, the housing prices in Hegang City have generally shown a downward trend. At present, the price of new houses is less than 3,300 yuan / square meter, and the price of second-hand houses is less than 2,400 yuan / square meter. What kind of city is this? According to the data, Hegang is a prefecture-level city under the jurisdiction of Heilongjiang Province. It is located in the northeastern part of Heilongjiang Province, bordering Russia in the north and the Songhua River in the southeast. It is adjacent to Yichun in Xiping, and is adjacent to Yichun in Heilongjiang and Songhua River. The “Golden Triangle” area enclosed by the “Two Rivers and One Ridge” in Xiaoxing'anling; the total area is 14,684 square kilometers, with 2 counties and 6 districts under its jurisdiction. In 2017, the total population was 1.009 million. Recently, Hegang was also famous for giving the police a "send a car to the car." 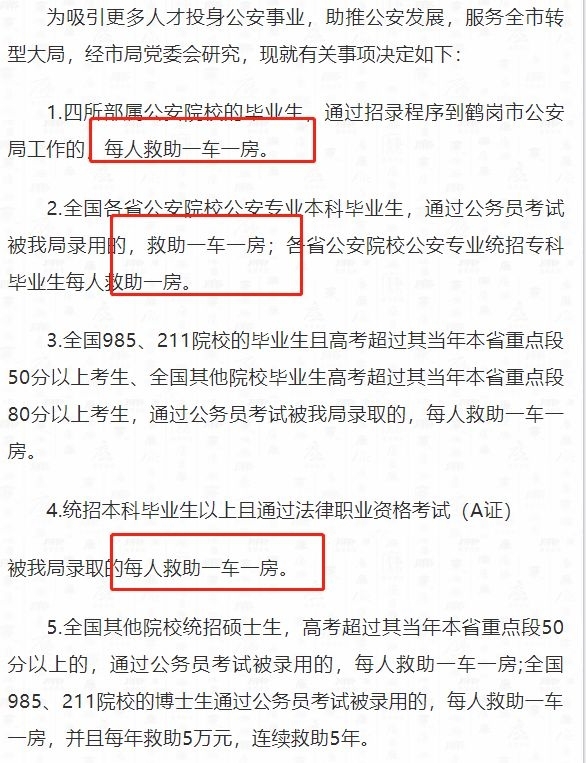 Earlier, on March 5th, the Hegang City Public Security Bureau of Heilongjiang Province issued the "Hegang City Public Security Bureau's preferential policy on recruiting police in 2019" through its official micro-signal, saying that many types of qualified public security college graduates can enjoy To the "one car, one room" offer: that is, the car with a value of less than 100,000 yuan, and the building area of ​​50-90 square meters, the housing is located in the urban housing. The order of selecting houses is arranged according to the scores of the public security joint examinations or the results of civil service examinations from high to low. 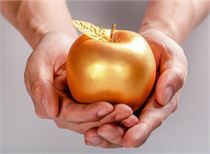 In addition, those who recruit undergraduate or above and obtain certain qualifications can also enjoy the "one car, one room" treatment. 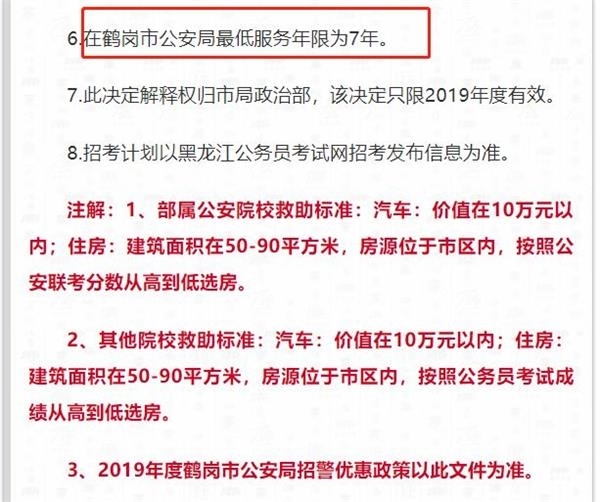 Hegang City Public Security Bureau also mentioned a condition that the Hegang City Public Security Bureau has a minimum service of seven years. According to official data, the resident population of Hegang City is 1.01 million, of which the urban population is 617,000. First Financial's “New First-tier City Research Institute” released “2018 China's latest 1-5 cities rankings” in April last year, and Hegang City is located in the ranks of 5th-line cities. At the beginning of January, Hegang City Mayor Wang Qiushi said in his government work report that preliminary statistics show that the GDP of Hegang City in 2018 increased by 5% year-on-year; the per capita disposable income of urban permanent residents increased by 6.5%, and the per capita resident income of rural residents Disposable income increased by 7%. 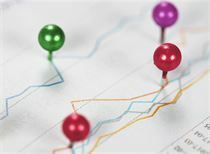 According to the statistical bulletin on the national economic and social development of Heilongjiang Province, according to the population sampling survey, the natural population growth rate of Heilongjiang Province in 2008 was -0.69‰. At the end of the year, the total resident population was 37.731 million, a decrease of 156,000 from the previous year. 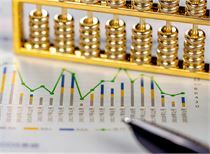 According to the "Statistical Communiqué on National Economic and Social Development of Hegang City in 2017" published by Hegang City in May last year, in Hegang City, in 2017, the total GDP of Hegang City was 28.29 billion yuan; the per capita disposable income of urban permanent residents was 21,370 yuan. 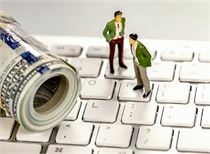 The per capita disposable income of rural residents is 13,967 yuan. 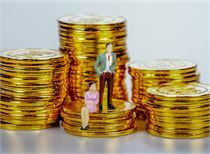 In the same year, the National Bureau of Statistics said that the per capita disposable income of urban residents was 36,396 yuan, and the per capita disposable income of rural residents was 13,432 yuan. The median per capita disposable income of the national residents was 22,408 yuan. Yan Yuejin said that the logics of Hegang, Shuangyashan and Qitaihe are similar. In the past, the cities with relatively developed coal and industry were in the past. However, due to coal rectification, the development of urban industry is often affected at this time. The population has also gradually drained. 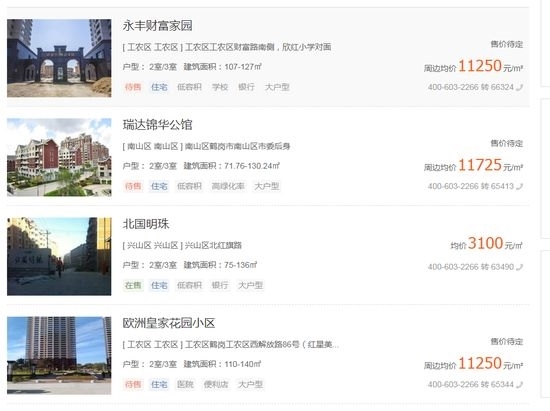 Zhuge Housing Research CenterAnalystDuan Yutong said, "The economic situation in Heilongjiang has not been very optimistic in recent years, the population has been flowing out, and the real estate market is relatively cold. Hegang, a relatively small urban real estate market, is not optimistic." Can it still rise so much on Wednesday? [futures] Take off the farm products! The cycle of bear cattle conversion is coming?